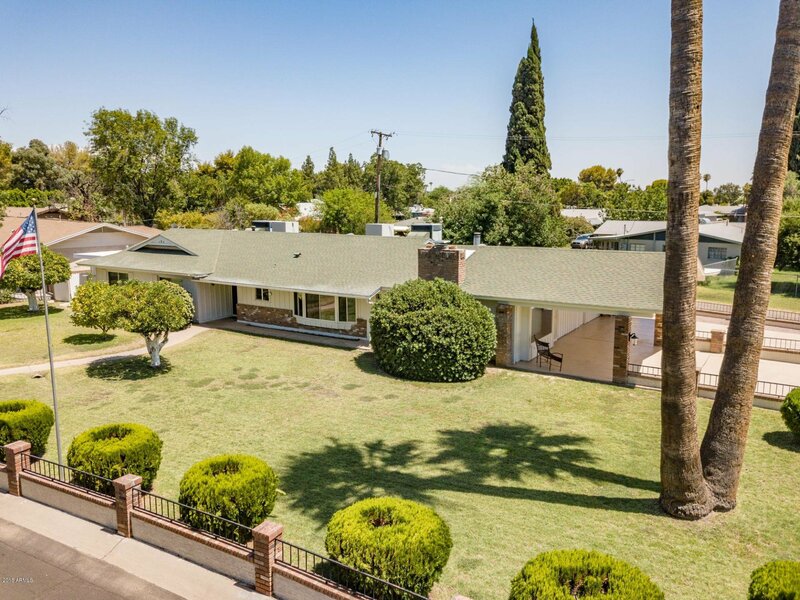 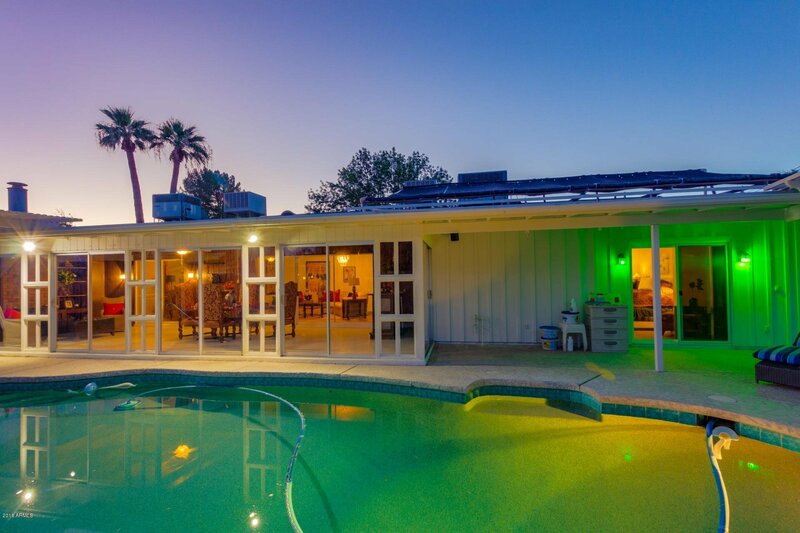 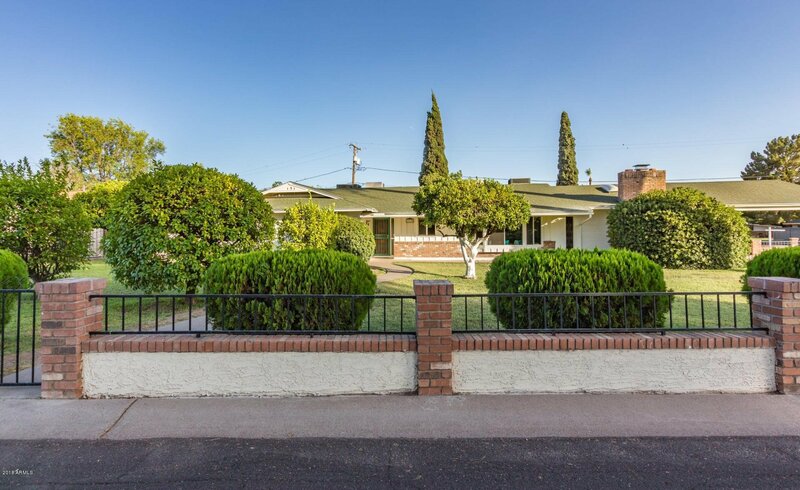 6215 N 15th Street, Phoenix, Arizona 85014. 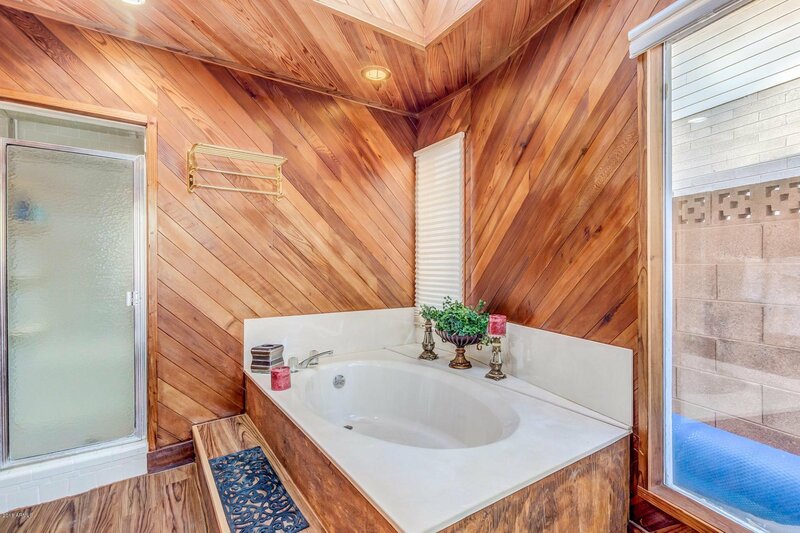 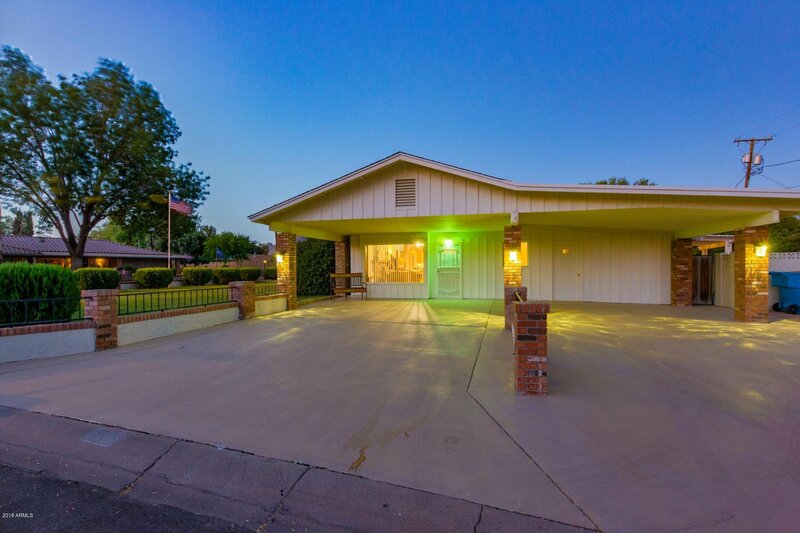 4 bedrooms 3 baths with 3092 square feet of living space. 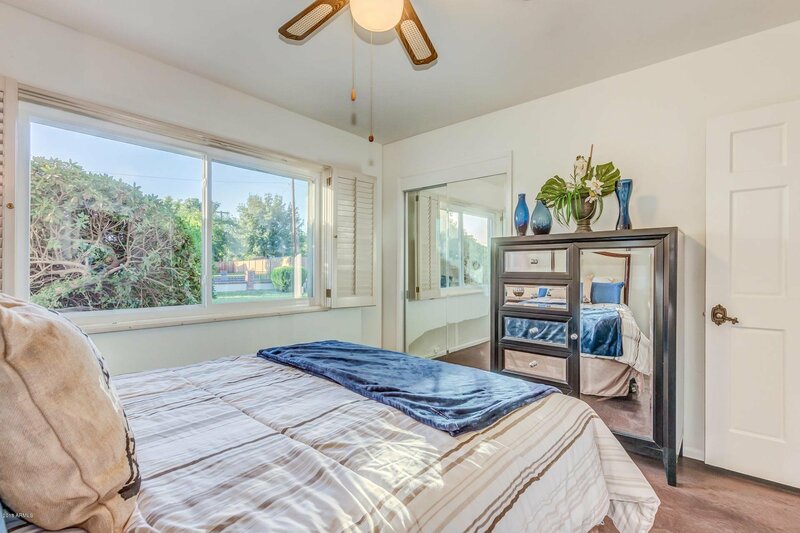 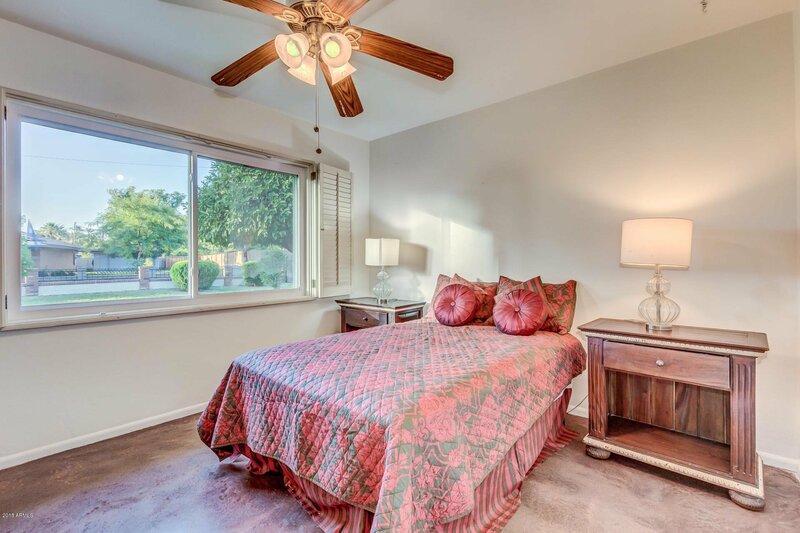 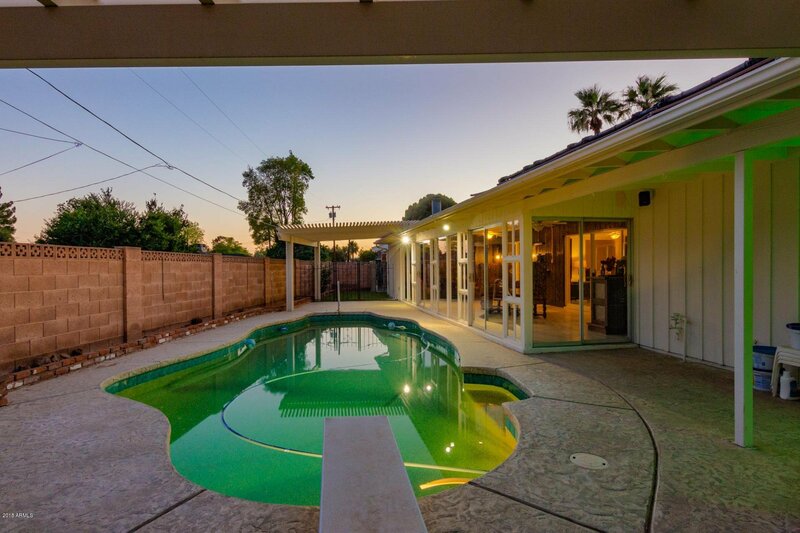 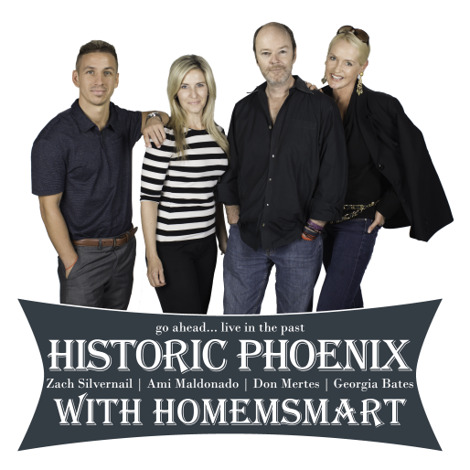 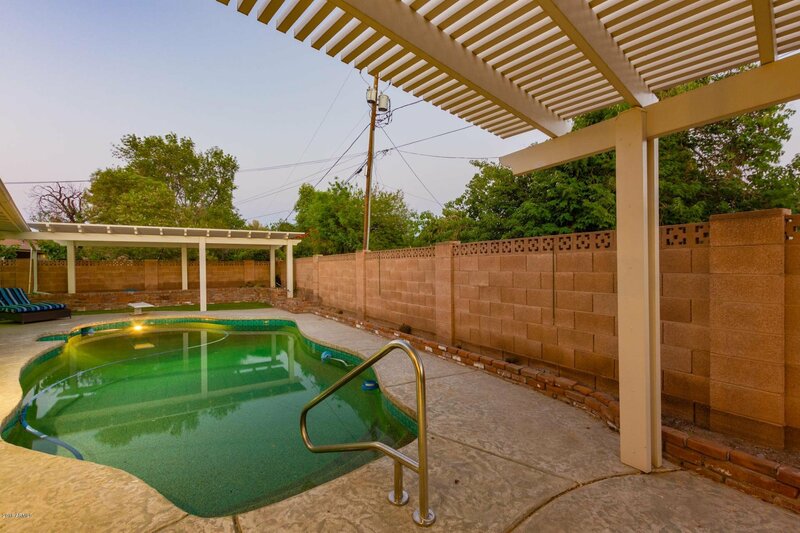 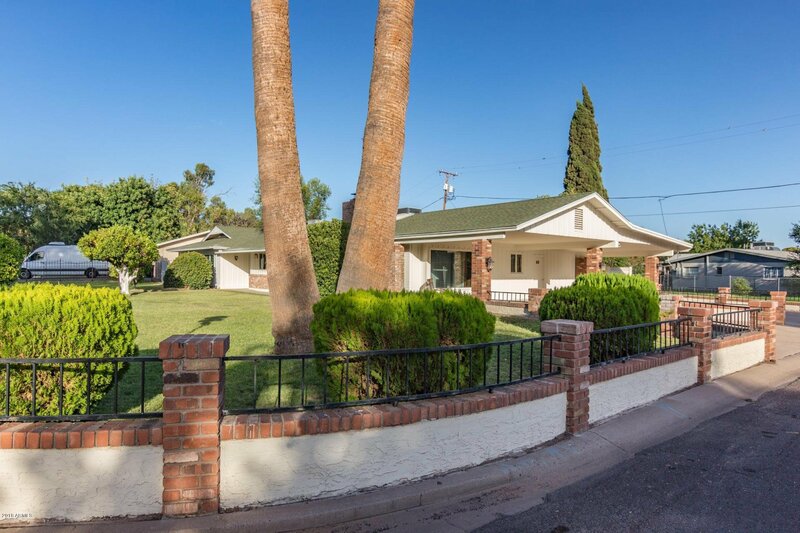 3092 Square feet home on one of the few remaining large corner lots in Central Phoenix. 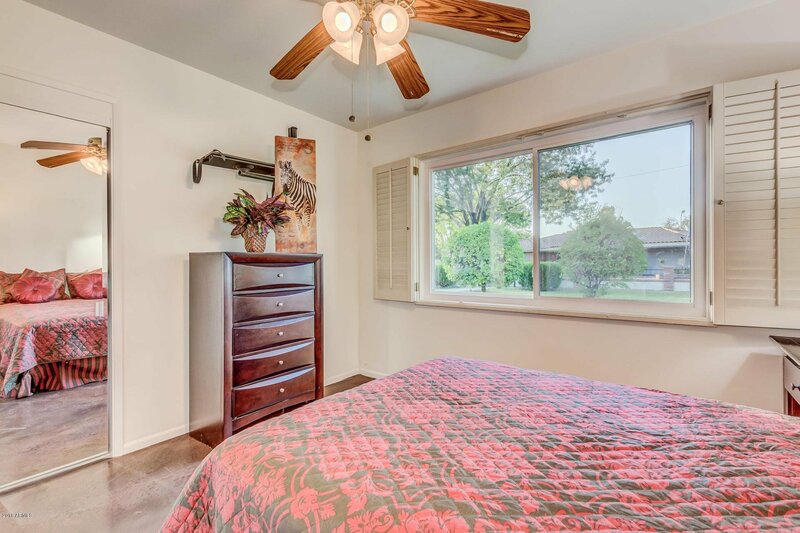 The 202 square feet of the storage room is not included in the square footage of the home. 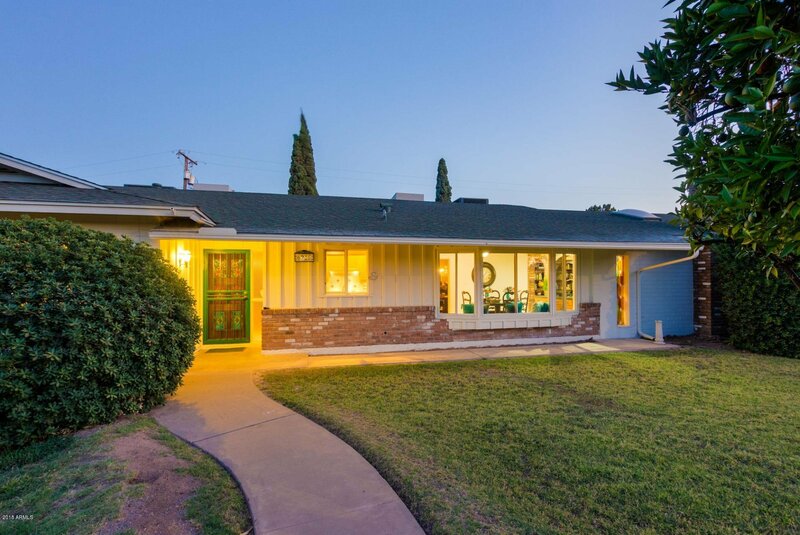 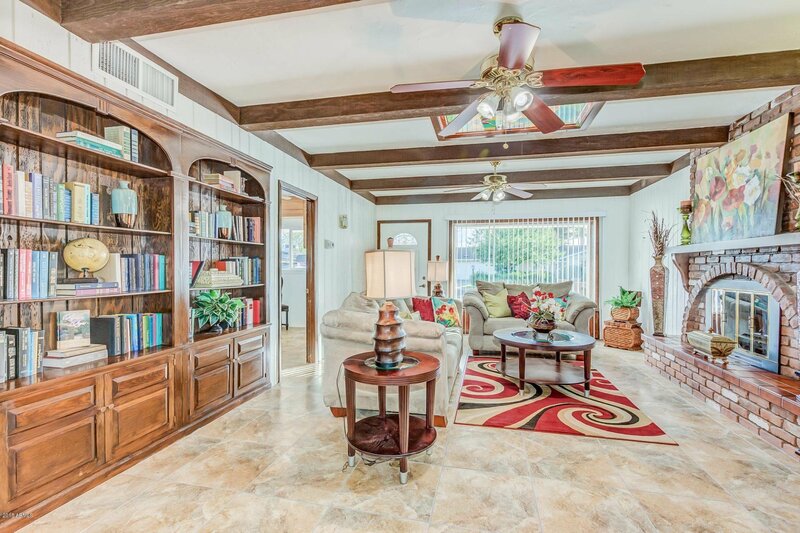 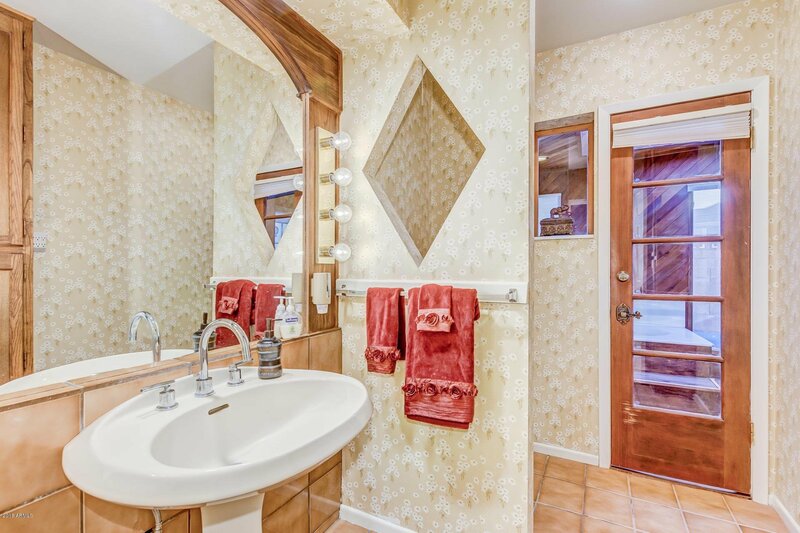 This large family home is in the exceptional Madison Elementary District #38. 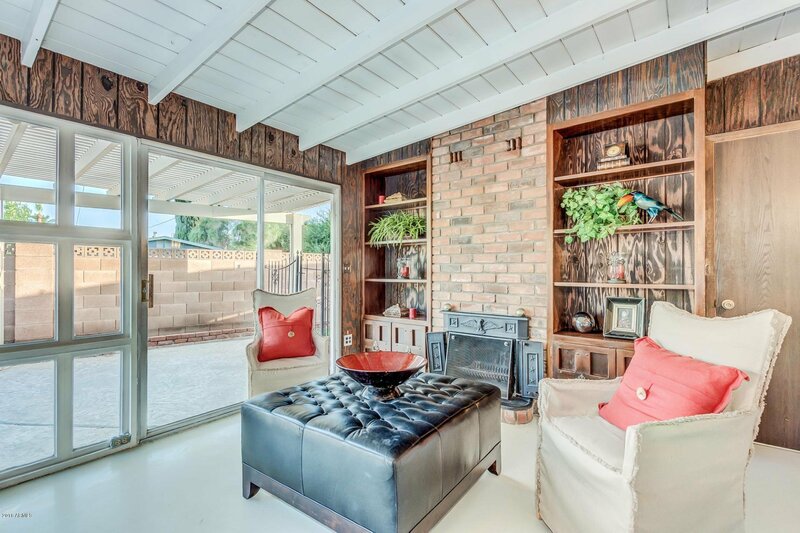 PLEASE SEE SUPPLEMENTAL REMARKS FOR A COMPLETE DESCRIPTION OF THIS BEAUTIFUL HOME! 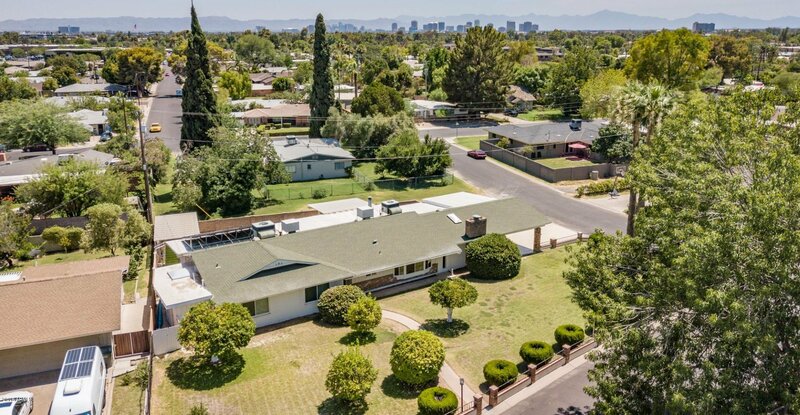 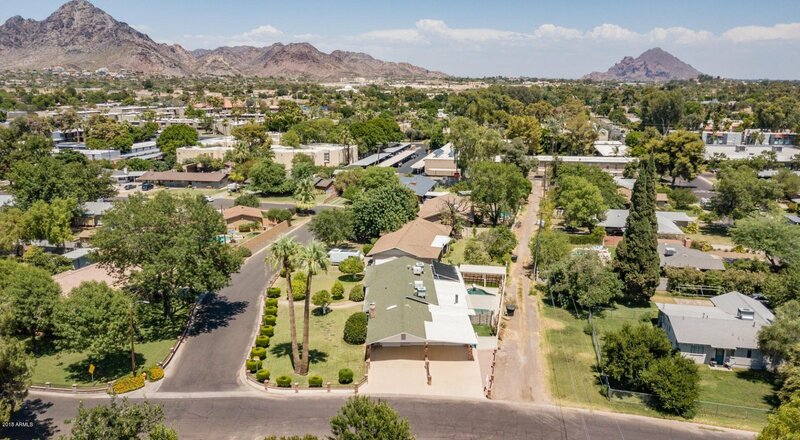 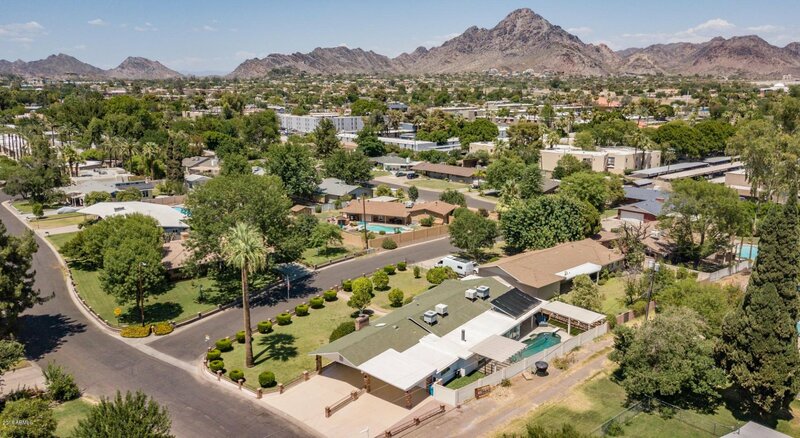 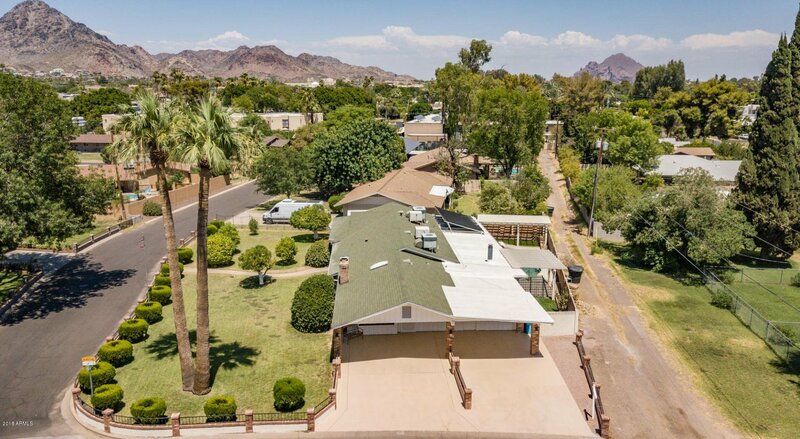 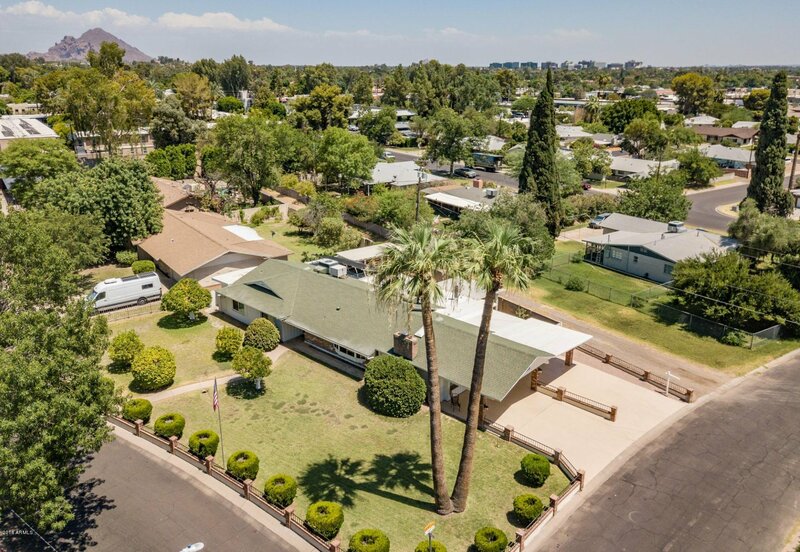 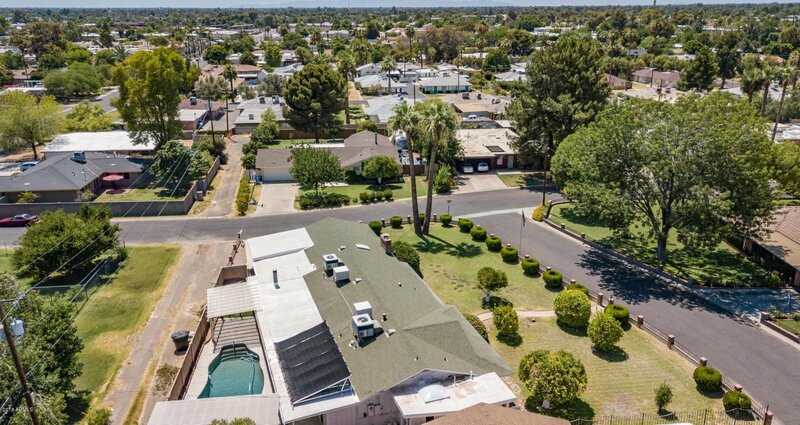 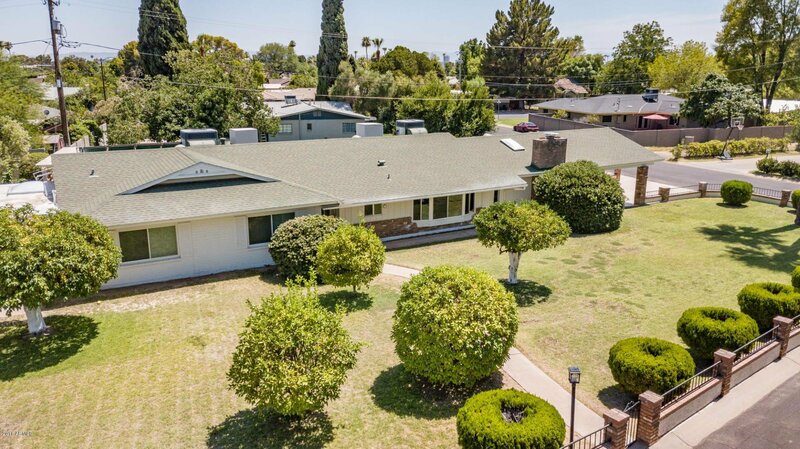 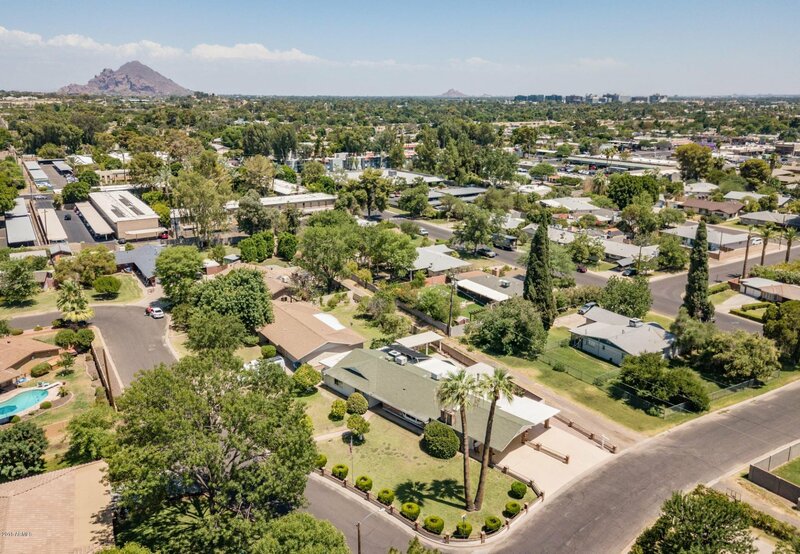 This listing is on one of the few remaining large corner lots in North Central Phoenix and it is in the exceptional Madison Elementary District. 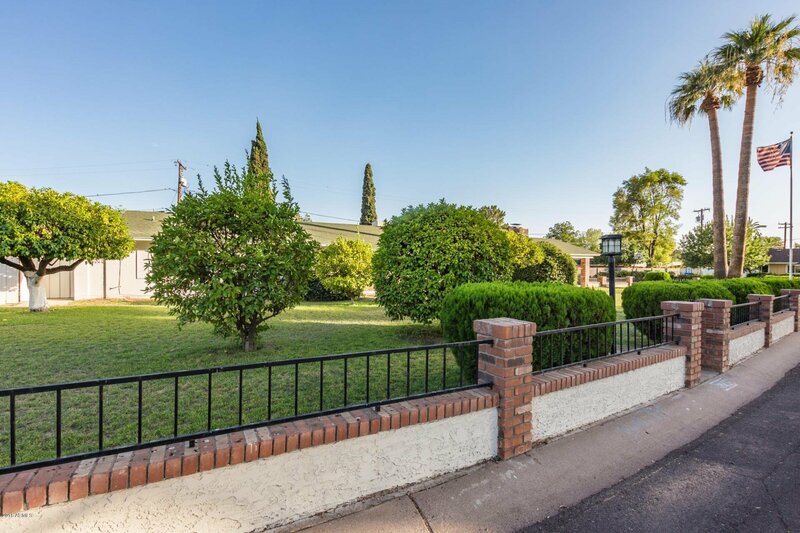 Pink and white grapefruit, oranges, lemons, limes and tangelos are all waiting to be picked fresh in your front yard. 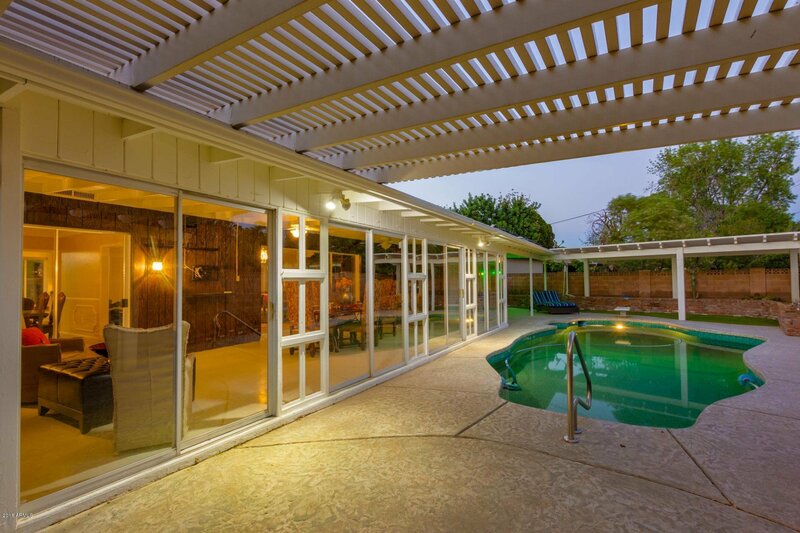 The home is 3,092 square feet of unique family living. 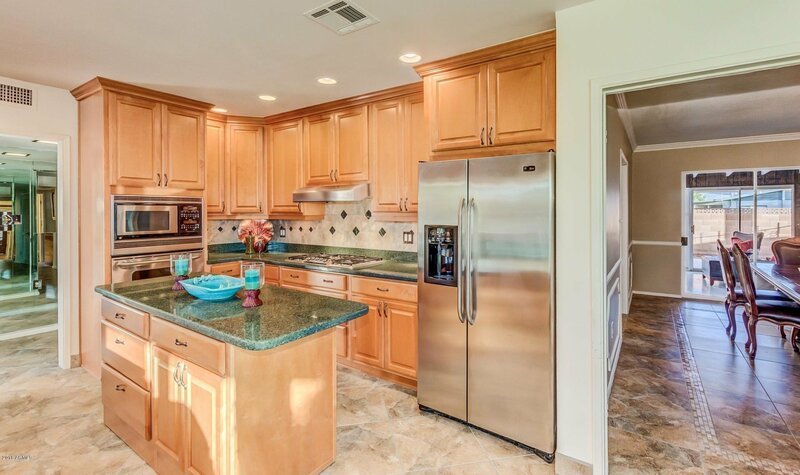 Beautiful large kitchen, completely remodeled in 2006 has 42" cabinets with lots of storage, a large floating island with counter space and more storage. 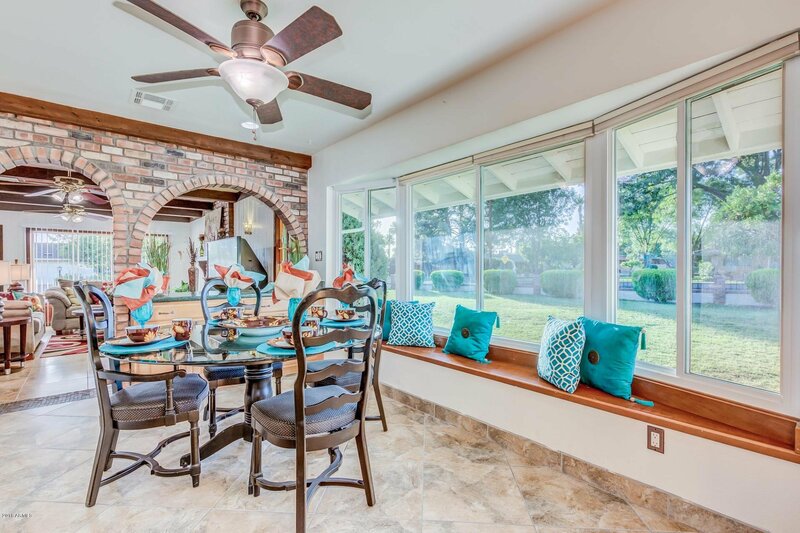 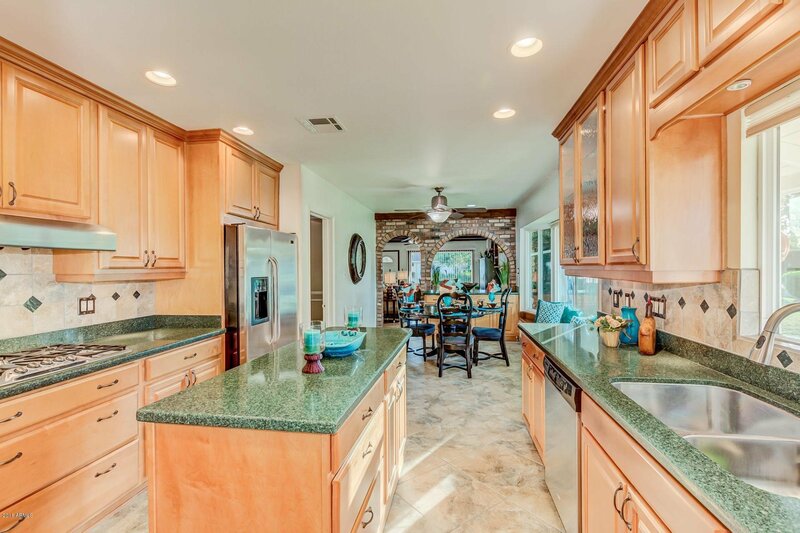 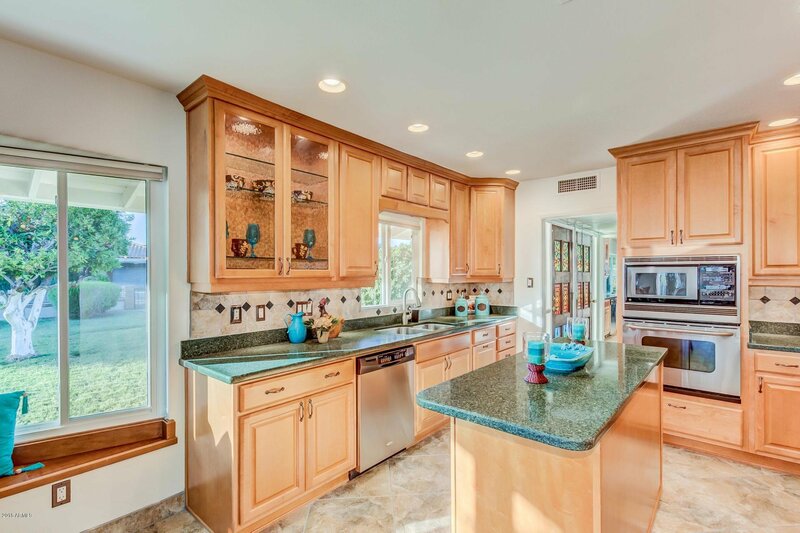 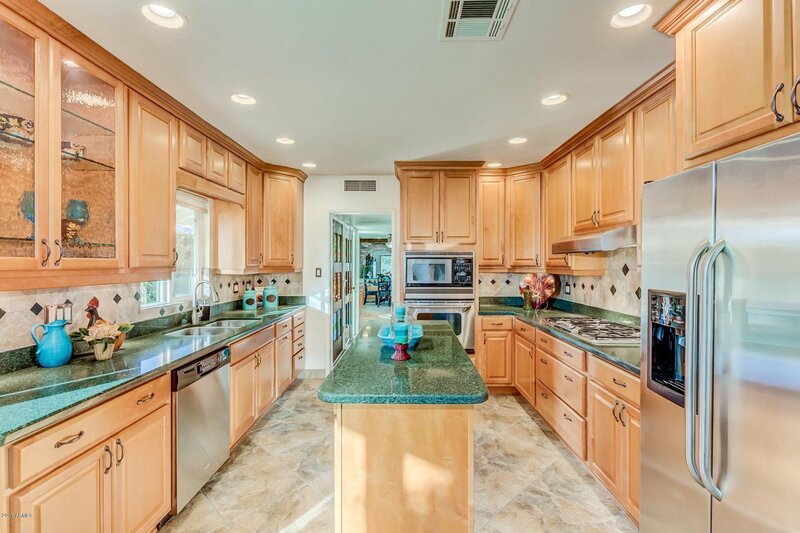 There is a large breakfast area in the kitchen with beautiful views of Piestewa Peak. 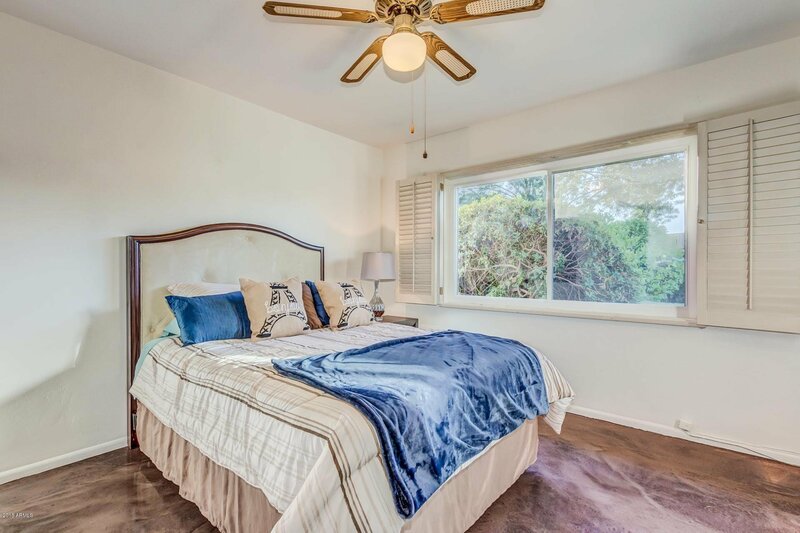 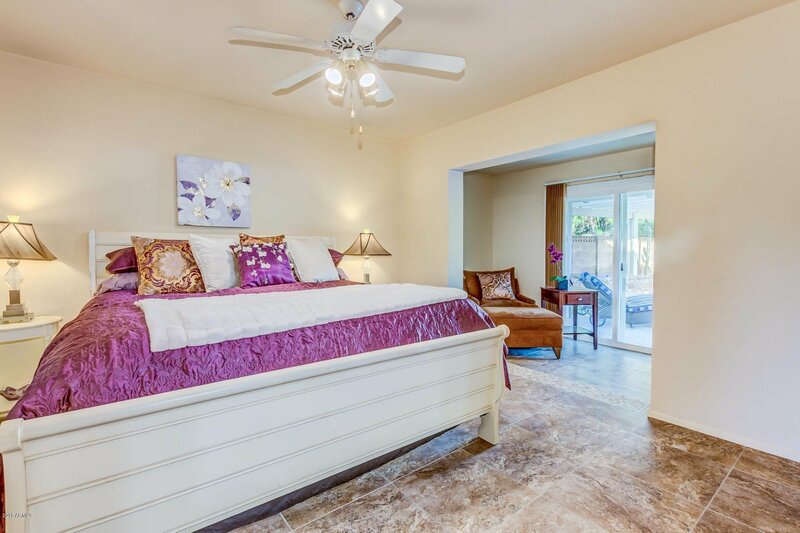 The Master Suite was remodeled in 2013, it includes a seating area, large walk in closet and a 3' x 6' walk in rain head shower. 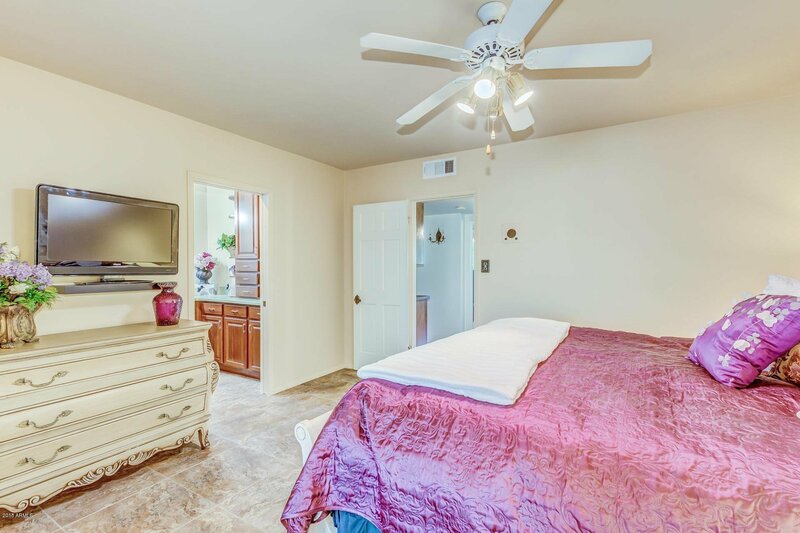 There is also a large walk in closet in the main hallway. 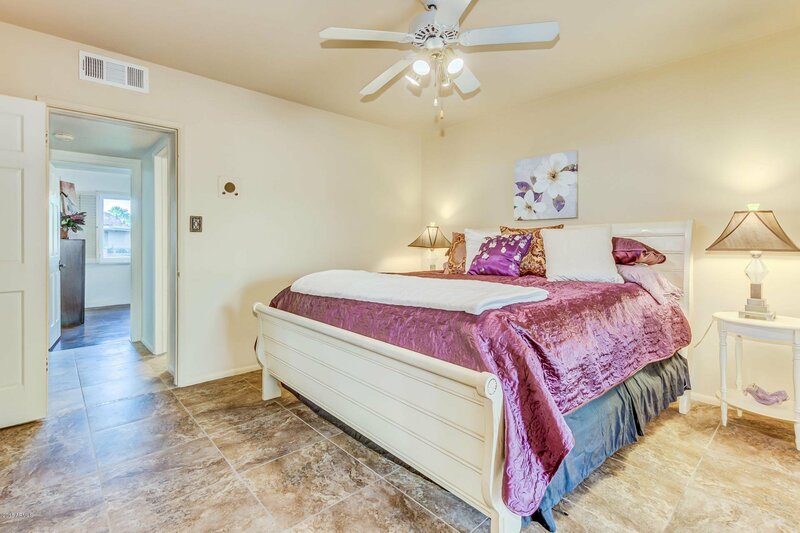 Two more bedrooms are across the hall from the Master. 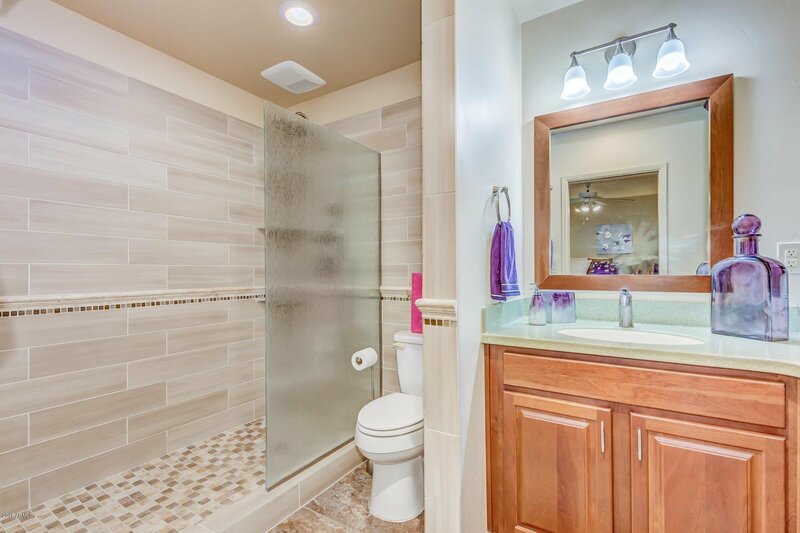 The hall bath includes separate sink and toilet areas and a separate large spa like tub and shower room with a large skylight and beautiful doors leading to the swimming pool. 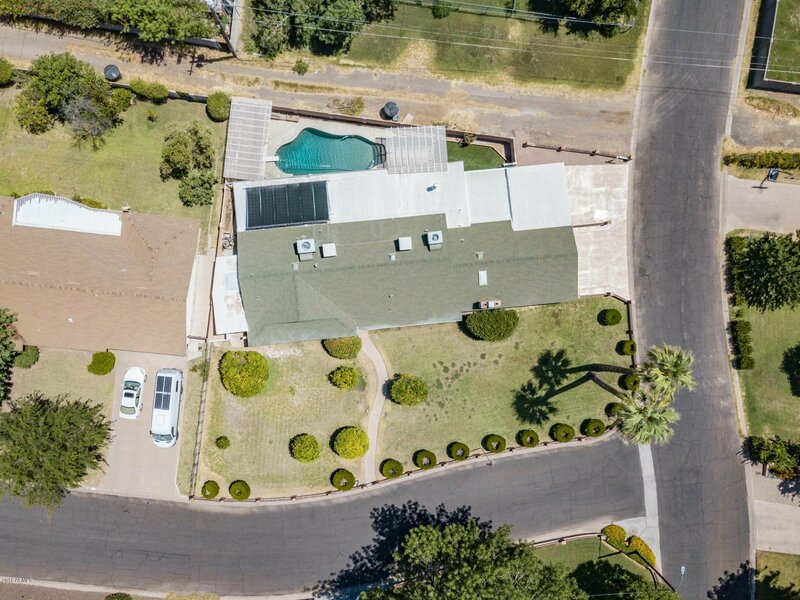 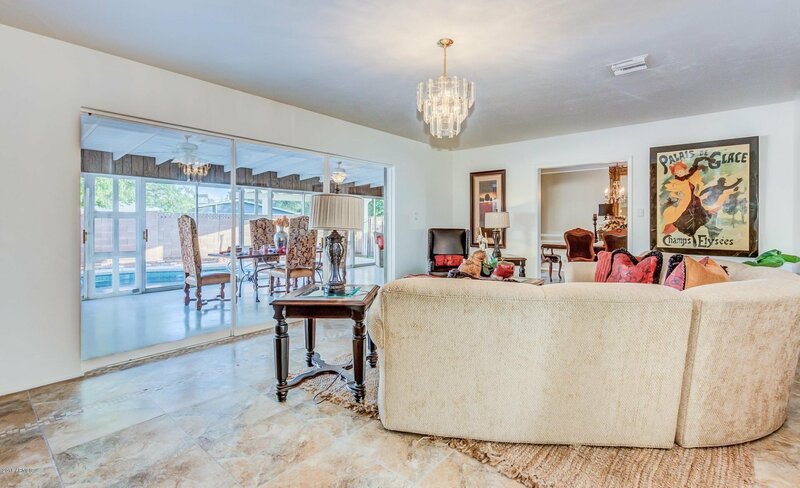 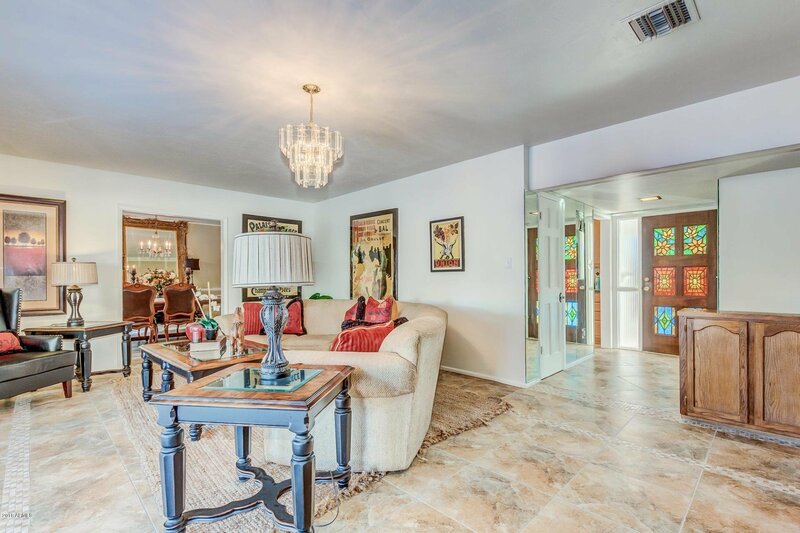 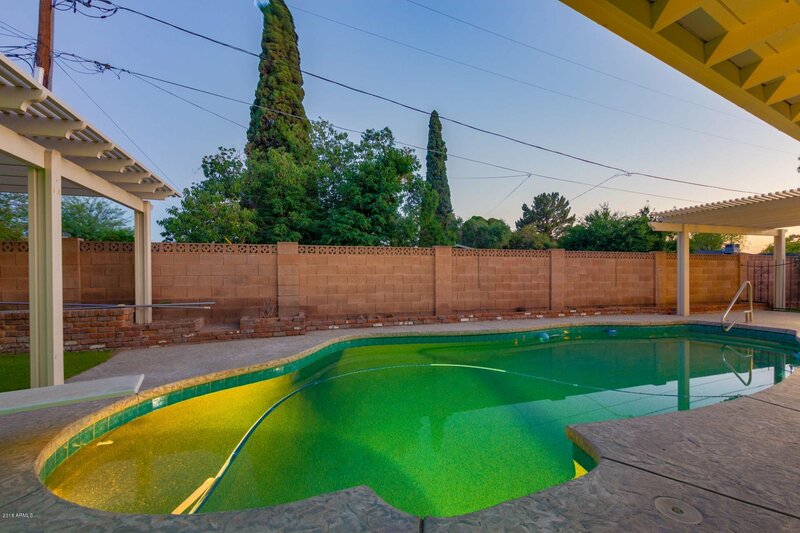 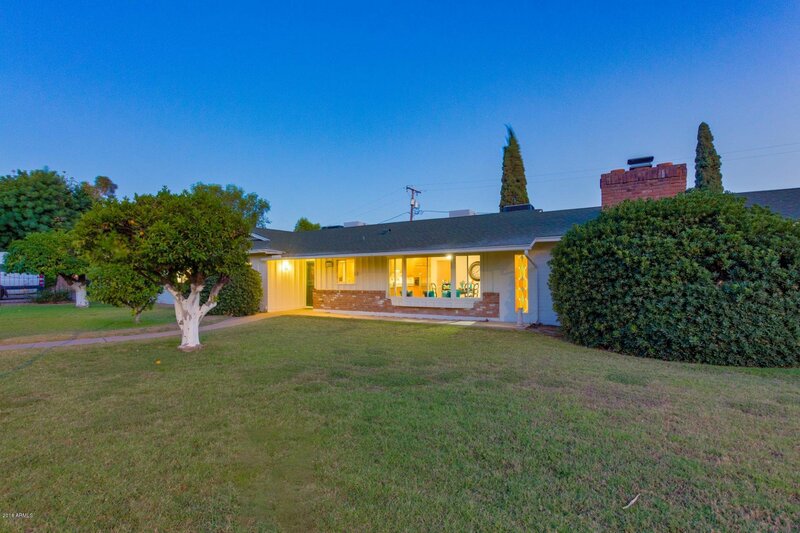 The home has a large living room, formal dining room and a large Arizona Room off of the living and dining rooms. 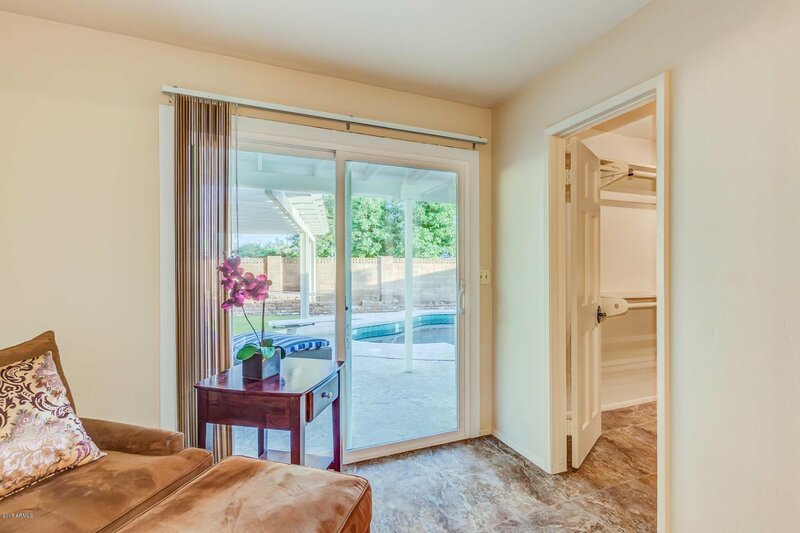 A family room is off of the kitchen with an entry door at the carport. 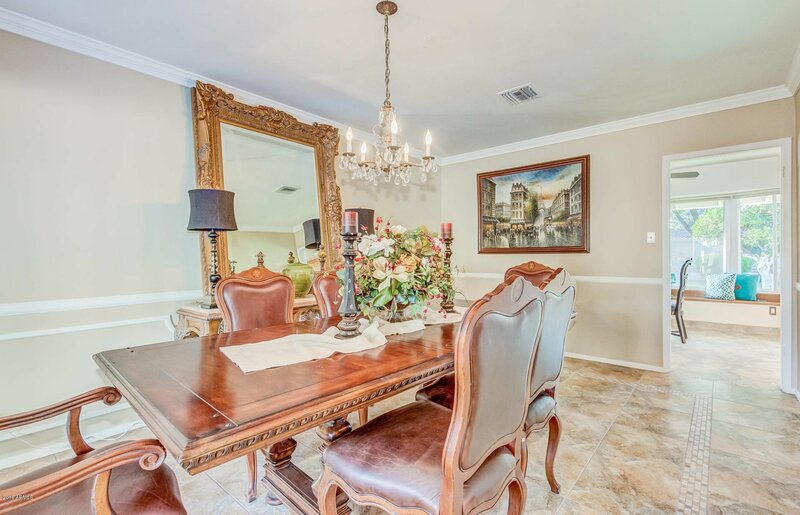 The fourth bedroom/office is adjacent to this family room. 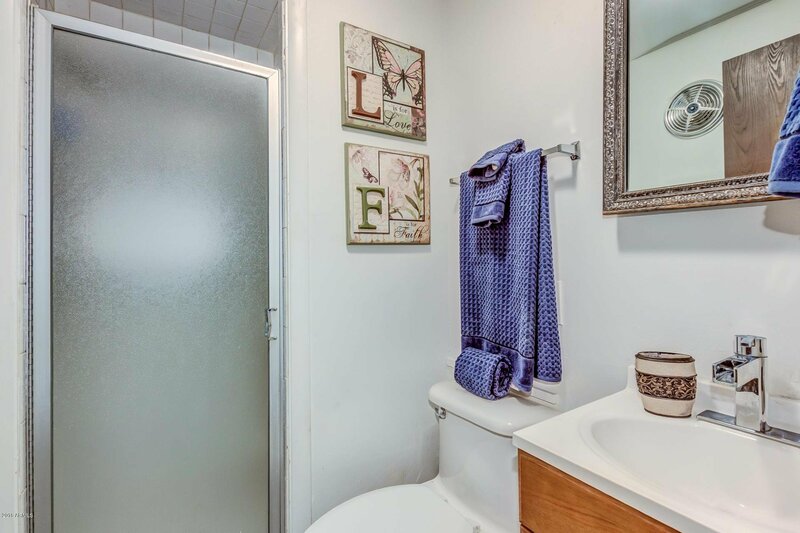 The hall way leading to the laundry includes a closet and a convenient 3/4 bathroom. 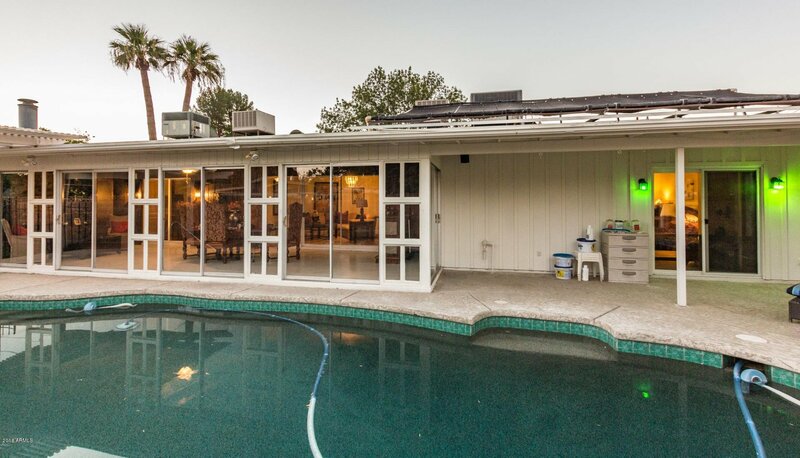 This home had dual air conditioning/heating unit as well as dual evaporation units to keep your cooling bills economical until the monsoons hit. 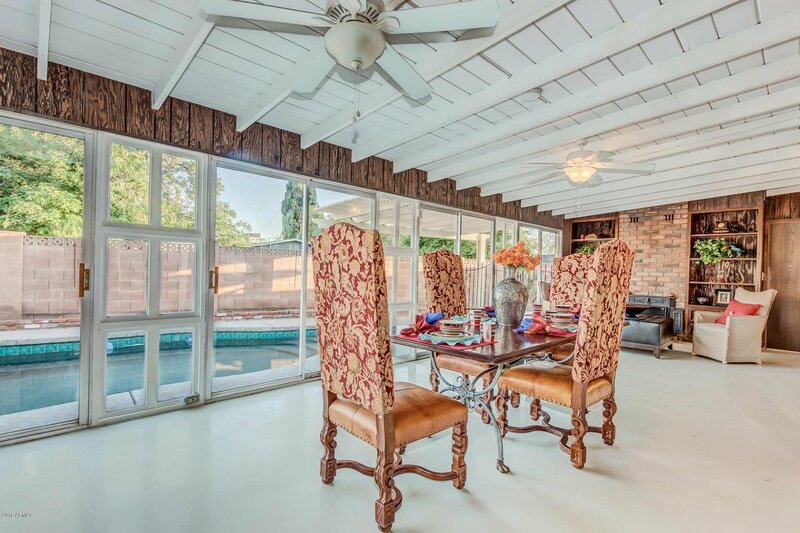 The floors throughout are tile and polished concrete. 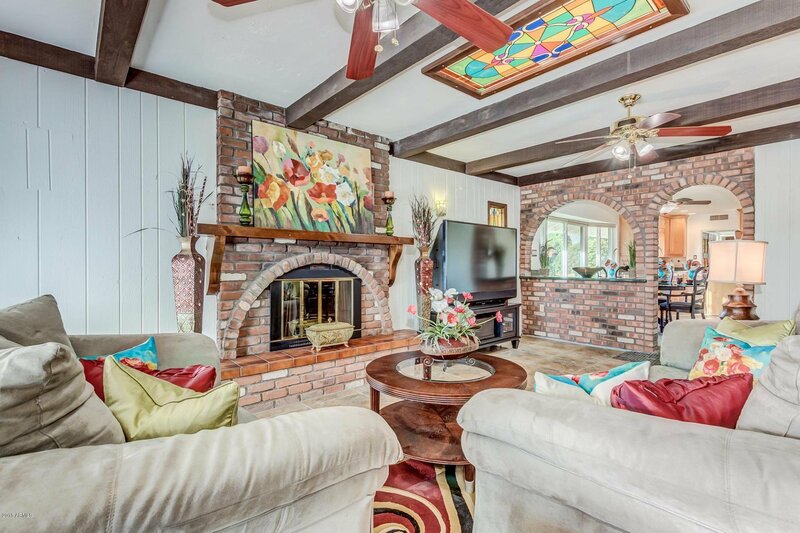 There is no carpeting in the home. 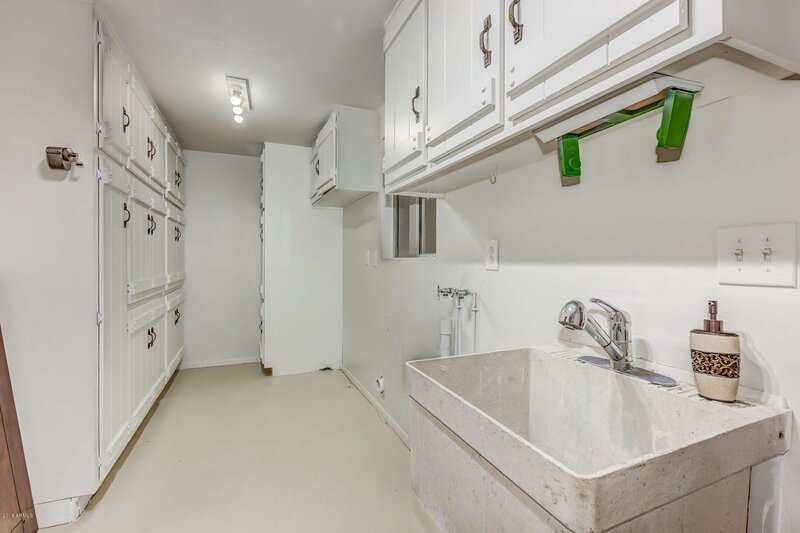 The laundry room is already setup for your energy efficient gas dryer and has the hookups for both washer and dryer. 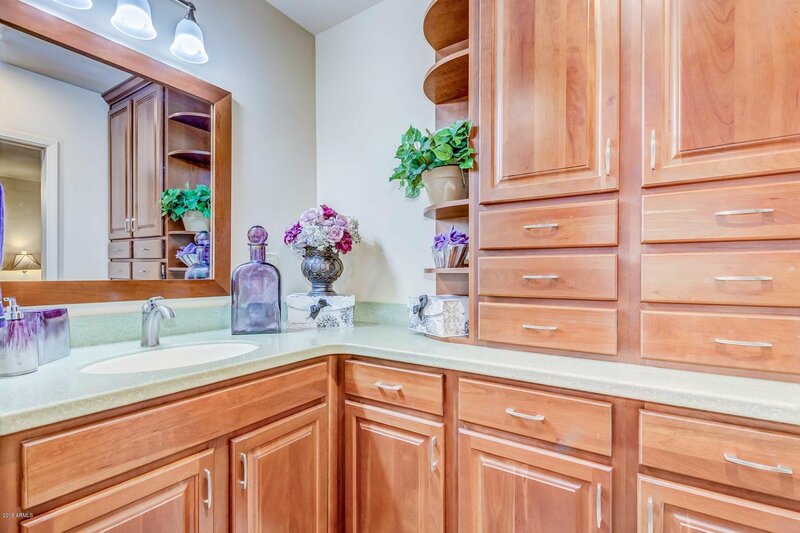 There is plenty of storage in the laundry room for a pantry. 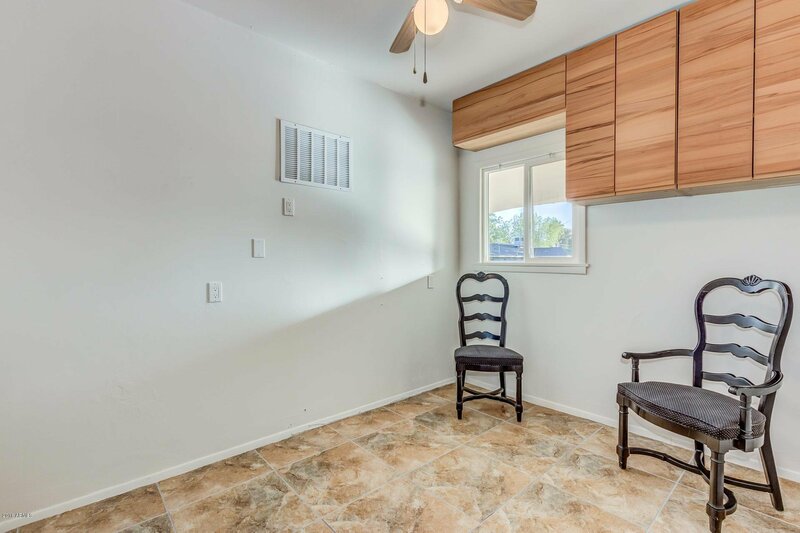 The storage room not included in the square footage is off of the laundry room and exits to the large carport. 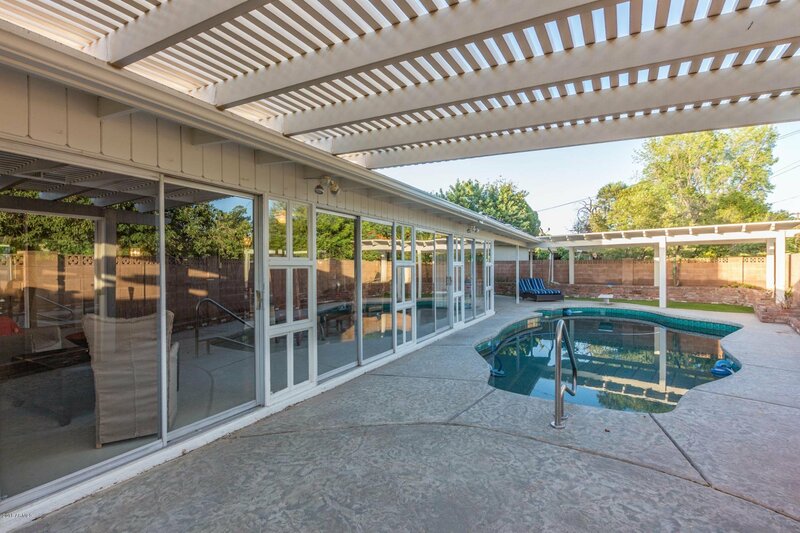 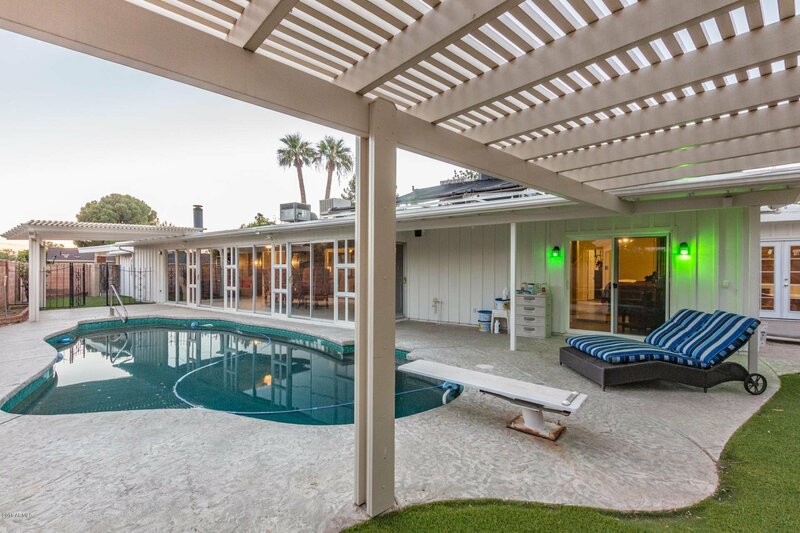 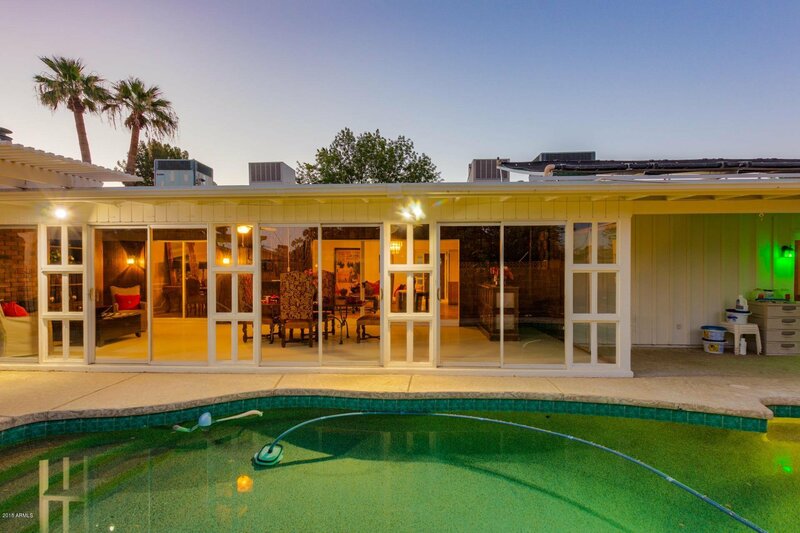 The Arizona Room is a large entertainment area with wet bar, dorm refrigerator which will convey, and a wall of windows that looks into your large backyard with turf yards at the east and west ends of the pool. 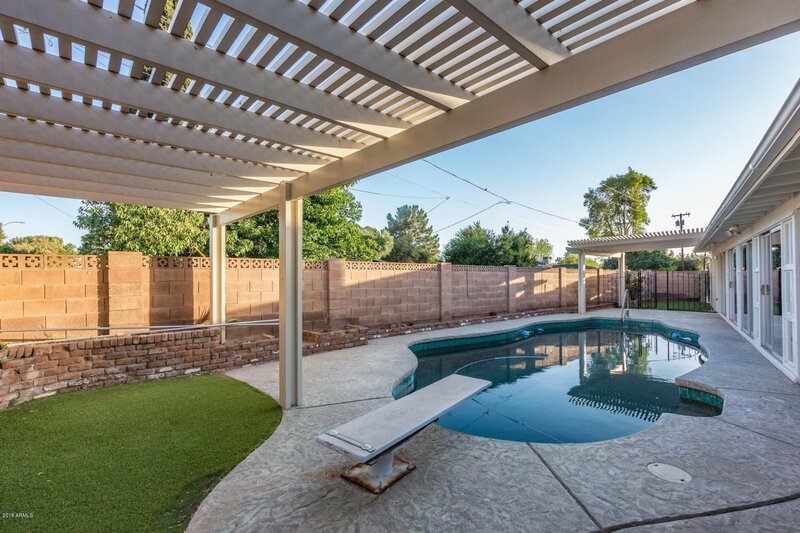 The pebble-tec diving pool has an automatic water leveler and solar heat that extends the swimming season by two or three months. 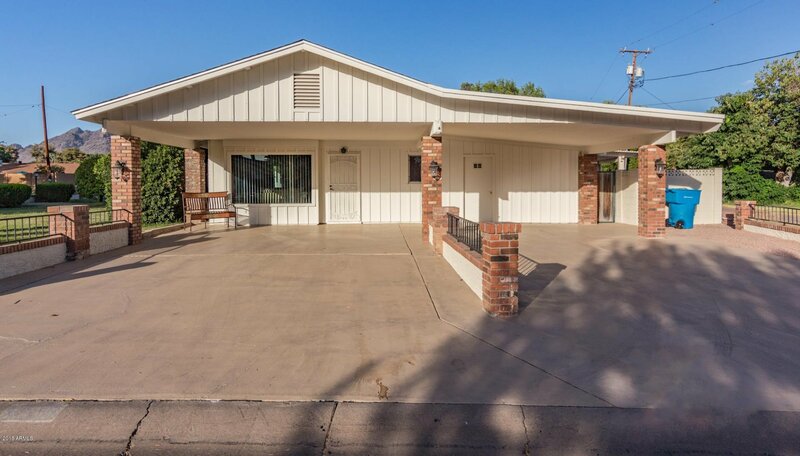 The carport is a four car carport but can easily handle six cars. 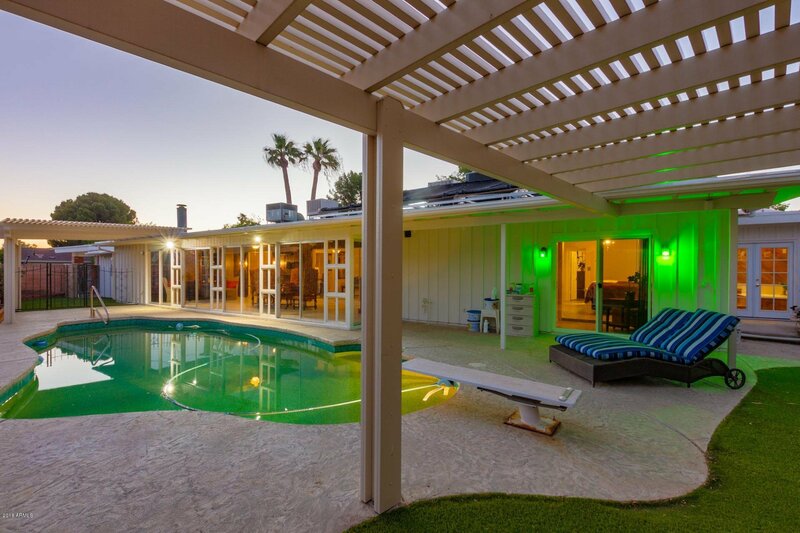 The telescopic flagpole can fly your flag at full staff, half staff, and can be lowered to 7' when you are not flying a flag.